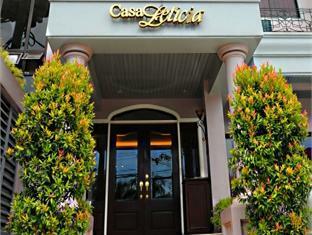 Casa Leticia Boutique Hotel is a boutique business hotel preferred by many business travelers in Davao City because of its reputation for its hotel staff's business-like efficiency, convenience of location, accessibility to many commercial establishments, and entertainment areas. 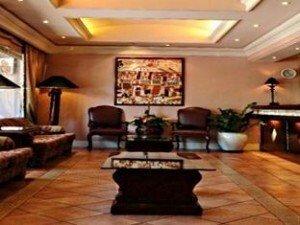 The Hotel features tastefully designed interior and business class amenities. Each suite provides furnishings standard to a first class business hotel. Sagay Restaurant serves a wide selection of international cuisines and delectable Filipino dishes particularly Ilonngo fares such as Diwal or Angel Wing Clams, Cadios, Pancit Molo, Crablets and Crispy Tadyang. 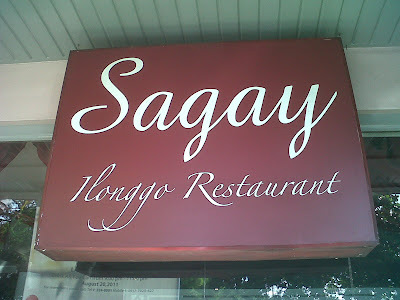 It was named after the Municipality of Sagay in the northernmost tip of the island of Negros, where the owner of the Hotel was born. 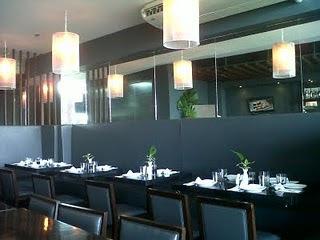 Located at the Lobby, the Restaurant's cozy interior makes is an ideal venue for corporate functions and social events. It is open daily from 5:30 AM to 11:00 PM, including holidays. For reservations and enquiries, please call (082) 224 0501. 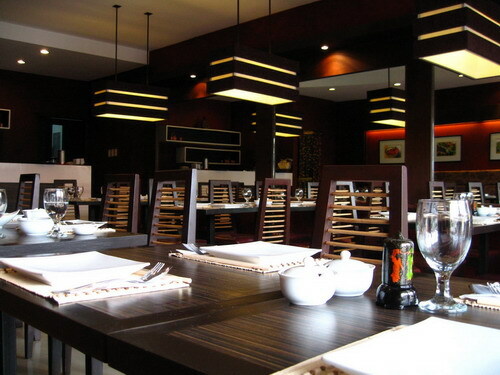 Tsuru Japanese Restaurant and Sushi Bar holds the distinction of being the first and longest running authentic Japanese restaurant in Davao. The Restaurant has its humble beginnings when it was first opened to the public in 1990 at Legazpi Street. With the growing list of loyal patrons, Tsuru eventually moved to its current home at the Casa Leticia Boutique Hotel in J. Camus Street, and branched out other outlets in Davao City. 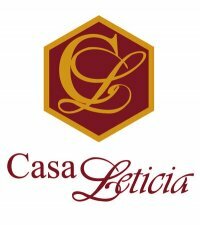 After more than two decades in the restaurant business, it continues to serve its clientele impeccable quality of food and service. “Tsuru” in Japanese means stork wish for long life. 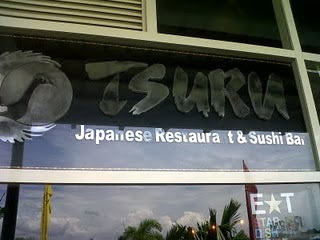 Tsuru serves the freshest and finest seasonal ingredients available from the markets and farms of Davao and Japan. It is widely known for its variety of authentic and delectable Japanese dishes of kaiseki, shabu shabu, teppanyaki, robota yaki, sushi and sashimi. 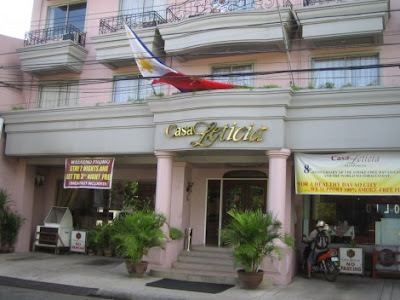 It also serves over 30 dishes in an eat-all you-can tri-monthly buffet. The selection includes a variety of all-time-favorites like sushi, teppan, and tempura amidst the tranquil ambiance of the Meiji-style farmhouse setting. It also hosts some of the city’s most exclusive private functions. The well-designed interior of its private dining room is cozy, warm, and elegant that can comfortably seat up to 34 guests. It caters to corporate events, product launches, celebrations and most exclusive social functions and receptions. A dedicated event team of staff is readily available even at the onset of the planning, all through out the execution of the event until the last guest departs. 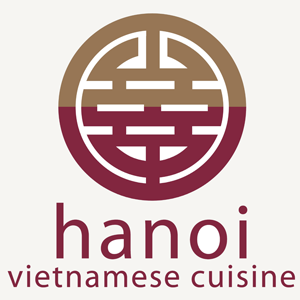 Hanoi Vietnamese Cuisine is the first authentic Vietnamese restaurant in Davao that serves dishes containing healthy amounts of vegetables and spices. Crabs are one of their most sought after dishes. It also serves an eat-all-you-can buffet, lunch, and dinner every 8th of the month. 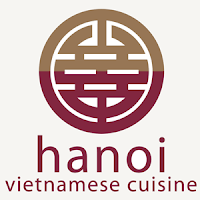 They are open everyday, from 11:00 AM to 2:00 PM, and then from 5:30 PM to 10:00 PM. 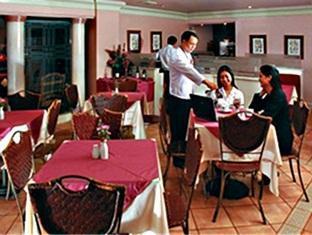 The function room is an ideal venue for business meetings and conferences. 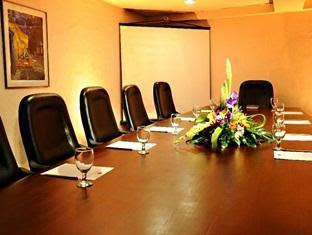 It is well-equipped with all the functionalities of a board room. A well-trained staff is available to assist in any business event. 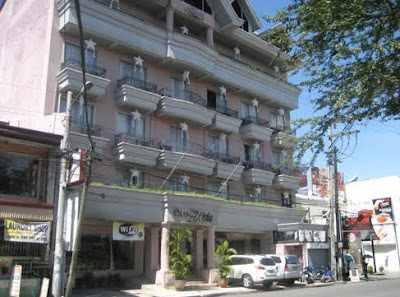 The Hotel provides free Wi-Fi internet connection. 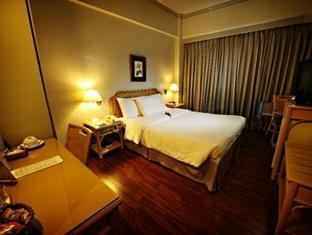 The Hotel has five types of suites: Studio Room, Superior Room, Deluxe Room, Executive Suite, and the Presidential Suite. The rooms are air-conditioned and furnished with either single, queen-sized, or king-sized beds, hot and cold showers, cable TVs, IDD/NDD telephone facilities, fully stocked refrigerated mini-bars, in-room coffee and tea makers, and complimentary newspapers. 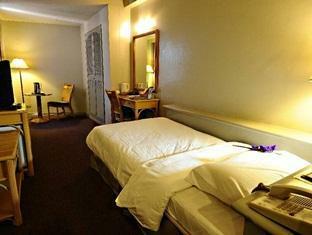 This room is specifically designed for the practical business traveler. It comfortably fits a single bed, but is large enough to accommodate an extra bed, when necessary. 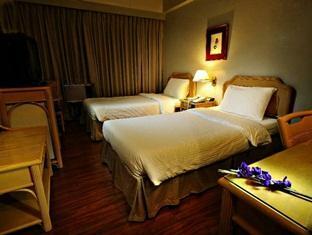 The room comes with either two single beds, or a queen-sized bed. 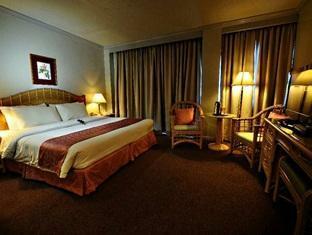 Each of the room has a queen-sized bed, and a balcony that provides scenic view of Metro Davao. 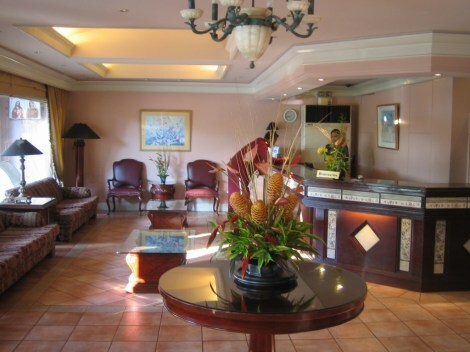 This suite has the comfort of a home or an office especially designed for the busy business traveler. It has a small receiving area and a balcony with the view of the city. 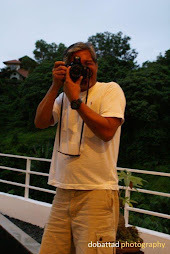 The best suite in the Hotel, it has a four-window view of Davao City, and a walk-out balcony. It is complete with first class amenities such as an extensive bathroom with complimentary bathrobe, a receiving area, an aquarium as a decorative headboard atop the king-sized bed, LCD flat screen TV, a fully-stocked refrigerated mini-bar with a full array of liquors, an in-room coffee and tea makers, hair dryer, safety deposit box, complimentary newspaper, and a fruit basket. 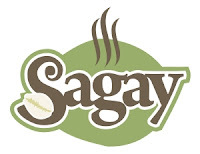 The Hotel is easily accessible by public or private transportation, and is about 20 to 25 minutes from the Davao International Airport in Sasa. 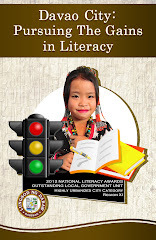 It is located along J. Camus Street, across the Davao’s Peoples Park, and is a walking distance to shopping malls, commercial establishments and entertainment areas.